MSE Creative Consulting Blog: Way to Go, Wichita!! 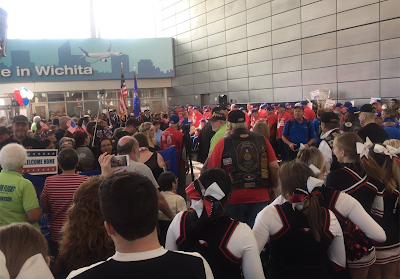 I heartily recommend going to Eisenhower National Airport's page on Facebook to see the 16 photos of veterans being honored as they returned on their honor flight today. This was the last flight of 2016 and I am so proud of my fellow Wichitans for turning out in such large numbers. There was even a high school band to great the vets with music. One two occasions, once in Wichita and once at Washington Reagan, I have been at the airport to receive honor flights (the latter was coincidence). 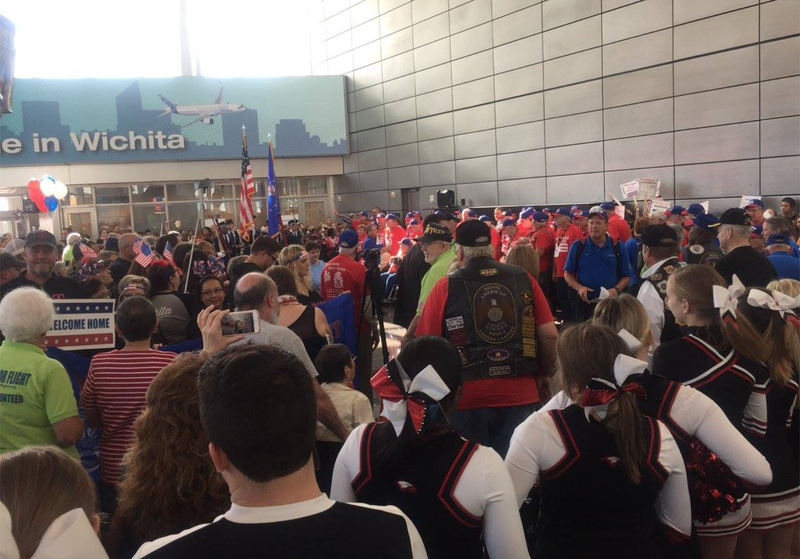 At Reagan, the honor flight happened to be from Wichita and the passengers and airport employees applauded and cheered so loudly it sounded like a packed sports stadium. You could hardly hear yourself think!